FC Barcelona are afraid that Samuel Umtiti's injury in his left knee may not heal as planned. The club are even starting to fear that the Frenchman may be out until 2019. Umtiti has had knee pain for a while but at the end of September, against Athletic Club, was when he decided to take on the problem head on. The player's knee pain stems from a problem with the cartilage in his left knee, leaving him with two options. The most radical is surgery. The other, more conservative, is take treatment to regenerate the cartilage. The cost of this knee injury is that Umtiti was not able to play against Athletci or Valencia, or enter the France squad for the international break. Umtiti is not responding to the treatment as effectively as hoped. Barca are staying quiet, although in France they say the severity of the injury is low and that he doesn't need to go to surgery, as has been reported in recent days. However it seems if Umtiti continues with the conservative treatment he will not be able to participate in the next three games - Sevilla, Inter Milan and Real Madrid. The hope is that Umtiti improves during this time, but if not then Barca will need to go for the more aggressive option, surgery. 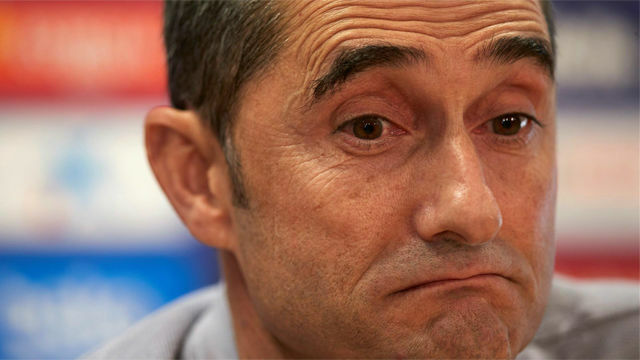 That would see Valverde lose the Frenchman until 2019.